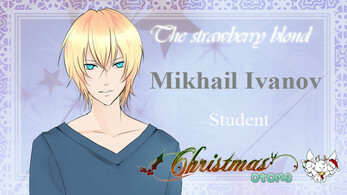 Christmas Otome is the sequel to Valentines Otome and the third entry in the "Holiday Otome" series. With graduation drawing near and Emma's relationship getting serious, Maia starts to wonder about her future. Should she listen to her parents and return home or try to make it here in the city? A chance encounter leaves her with just a couple months to melt a frozen heart but can this super serious girl do it? I told myself I wouldn't fall for the teacher since that was strange but...agh I just love him. It's too bad he rejected her the first time, but at least it was sensible. Honestly, if I were a teacher I wouldn't have known how to respond other than the way Liam did. I did notice a bit of typos, but I'm sure y'all will fix that. Honestly, I've been waiting so lon for a new game from you guys, and I'm so excited to play the full thing when it's released! I LOVED IT! I'm completely in love with Garret, to be honest. I hated the way Liam treated Maia, though, he could have rejected her gently. That was so harsh, so cold, ugh. Maia is adorable and her friendship with Siri is <3 Is there a release date already? 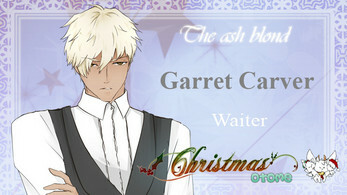 This demo made me want to play Valentine's Otome again. I miss Mira! Gosh, I really am excited for this one too. Honestly, the depth y'all give to the MC's of each game is really wonderful, and though Mira will probably remain my favourite protagonist, it's really nice seeing there's much more to Maia than what we saw previously. The guys seem intriguing as well - it's quite nice how different and well, human, each character is, especially when you've already done two other full games with side characters, and everyone having their own worries and motivations is amazing. Park intro - "Walking with no goal in mind and letting my thoughts wonder..." - "wonder" should be wander"
"It wasn't like I resembled by dad that strongly either." - "by" to "my"
"Students student" - as mentioned by another commenter? "I'm Maia and who might you be?" - perhaps a comma after "Maia"? Anyhow, thank you so much for releasing the demo, and hope y'all have a Happy New Year! *screams* Was waiting for this since Halloween Otome! I am way too excited about this. I adored the first games so much, I know I am going to adore this one. I am excited to replay this one way too many times just like the others. Amazing as always! A few text errors like at the university it says "students student" when I think it was supposed to say "students studying". However, will always love your games! Super excited for the whole game to come out! ... I could have sworn I fixed that. Ah well, that's why we go through proper proof reading and beta testing stages for the full releases. We're terrible with sticking to release dates so we'd rather not say. As for some things... it seems like the Cosgroves can get caught in the middle of trouble because of the guys they end up dating. However, I hope nothing too bad happens. Anyways, I have a question, is it possible for Mick to visit the hospital as well? (or did I just not manage to experiment well enough to get him to go?) Ah, well, that's all for now. 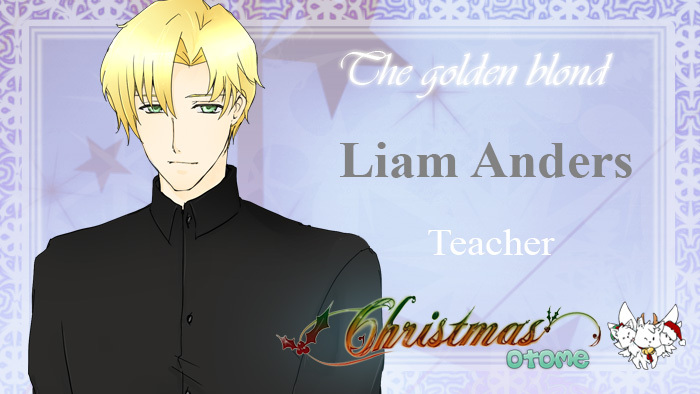 Looking forward to the full game and thank you so much for Christmas Otome! Mick can visit the hospital as well - if he's been defrosted enough. Try making other choices and buying some items from the shop because some can unlock additional scenes. Thanks for replying! I did get around it too :D and he's so adorable :D Does buying some items affect the other guys too? Or just Mick? Garret and Liam have scenes unlocked by items too but none of the items tied to Garret's are available to buy in the demo. As for Liam, the available snacks unlock scenes for him but thanks to his job they can only be seen on weekends. All 3 guy's have additional scenes tied to items that are not available in the demo. i knew this would come cause when you did Mira it came so well cause it matched her personality, please do Thanksgiving! 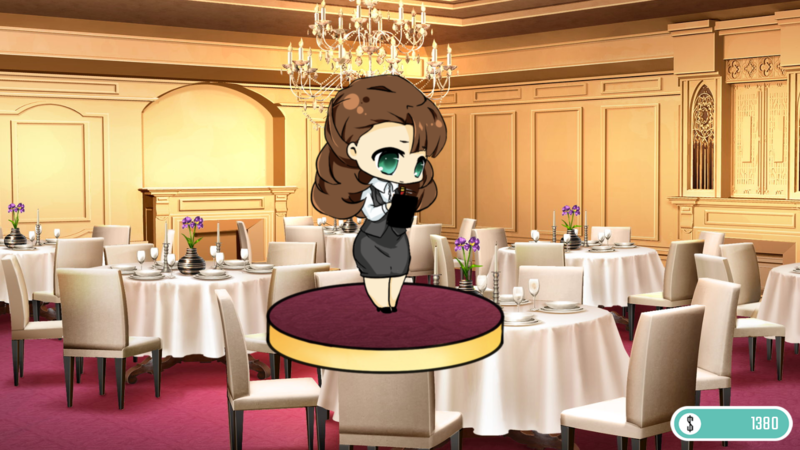 We have no plans for a Thanksgiving game but we are planning another Holiday Otome game. We'll have a guide for the full game. Experimenting and making your own choices is encouraged for the demo. I also experienced a similar error as weregoingkokobop but on Windows here. For me it popped up during the Hospital scene where she goes to the vending machine. Clicking ignore several times will result in the game continuing at Joseph'S so not sure how much is actually missed between the two points. Otherwise no other problems and played through the demo. Liking it so far even if the awkward factor of the Teacher reaction had me cringing. Poor Maia. Glad to hear that you're liking it. The scene isn't that big, but the demo has been updated if you want to download and see what you missed thanks to the error. IOError: Couldn't find file 'images/BGS/b2500N.jpg'. Looking forward to the full release! The Demo has been updated to 1.0.1 to fix this.